C and Java keep changing their positions to be in the first slot. But it is interesting that Objective moved past C# and C++. 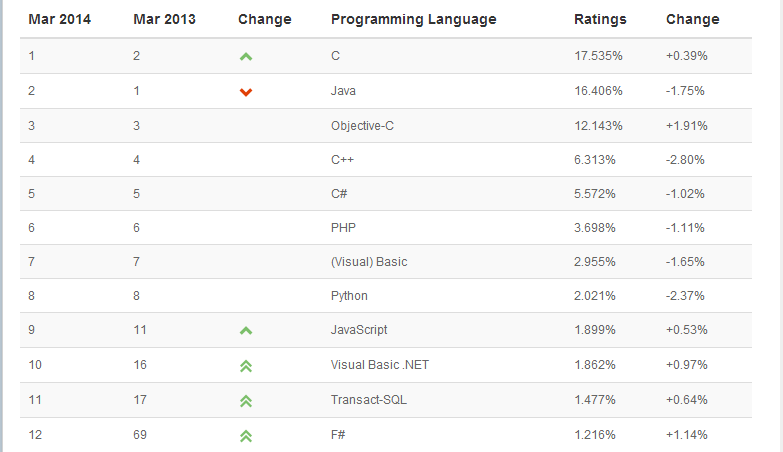 The most notable thing is that F# is moving up (now at the 12th position) and it moved past Ruby in TIOBE rankings. Here is how TIOBE calculates the rankings. 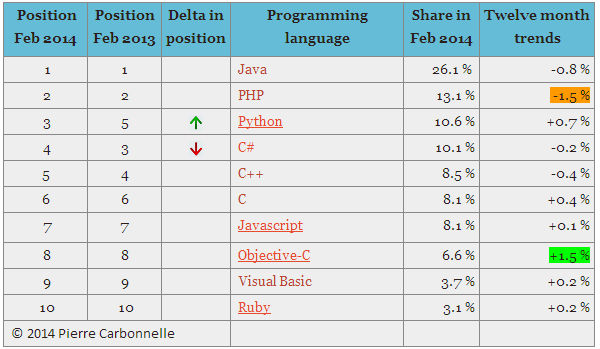 The Programming Popularity Index (the latest one as of this time is for Feb) tells a slightly different story. It is based on different parameters. The PYPL PopularitY of Programming Language Index is created by analyzing how often language tutorials are searched on Google : the more a specific language tutorial is searched, the more popular the language is assumed to be. It is a leading indicator. However, the job trends (are they lagging indicators) show a slightly different picture with Objective-C and Ruby lead in relative growth. One thing is certain. 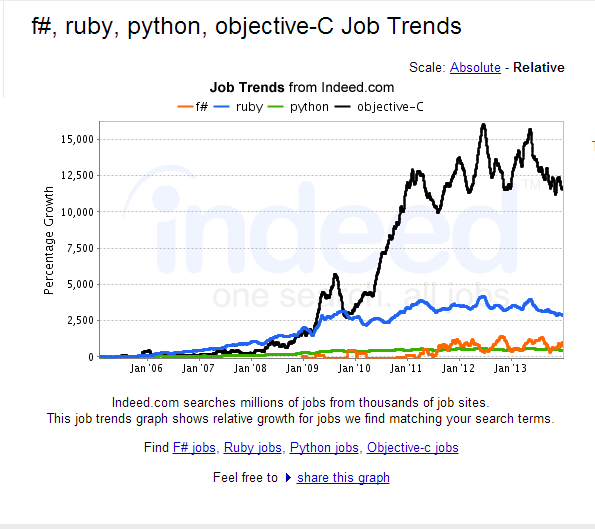 Objective-C is moving up consistently in all these indexes as well as in Job Trends.